I Want To Sell My Car For Cash! Use our handy "free quote" form or simply call to get fast cash for your used car, truck or SUV! Call us first before you trade in your Toyota, Honda, Lexus, Acura, Infinity, Ford, Chevy, Chrysler because, we pay more cash for your car. If you're wondering "how can I sell my car" or "what is my used car worth", then call 310-253-9977. We are dennisbuyscars.com Los Angeles, CA. a licensed and bonded California auto	dealer in good standing. Over the years, dennisbuyscars.com has built a solid reputation as an honest and reliable cash for cars company in California and the Southwest. We buy, sell and consign just about any kind car or truck, whether it be late model, classic or vintage, from Honda to Rolls-Royce, We buy vehicles paid for or not, running or not, lost title, no smog certificate or expired registration. We will buy your car today and arrange for towing at no cost to you. Our specialty is buying your car or truck now for cash and making it easy for you without the hassle of doing it yourself. When you need to sell your car, think of us first. 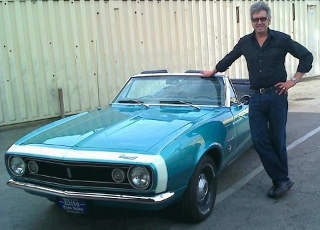 Dennis Buys Cars in Los Angeles makes getting cash for your used car, truck, SUV, easy, simple and fast. Are you looking to buy a car to fill that space in your driveway? We have all kinds of cars in stock and what we don't have we can find for you through our extensive computerized used car dealer network. Check out our used car inventory online. We buy and sell classic, sports and performance cars, too. Everything from that abandonded project taking up space in your garage, your grandma's American muscle car, the pristine Porsche 911 Targa that needs a good home to barn finds of rare and desirable cars and trucks. Go to DennisBuysClassicCars.com to see what we have now. We also specialize in all forms of financing to get you into the car you want. Join the family! The vast majority of our buyers comes from repeat business. MANY references are available upon request or take a little time to see and hear testimonials	from our customers on our Vlog (video blog). When you want to sell your used car, call Dennis Goddard now for free and fair quote, based on your used car value. 310-253-9977 or CLICK HERE for FREE online quote! Take the hassle out of selling your used car or truck. We can come to your home or office, do all the DMV paperwork, pick up your car and pay you on the spot. If you prefer, you can bring your car to our location at the crossroads of Los Angeles, Beverly Hills and Culver City on Venice Boulevard, right off the 10 freeway at Robertson (see map). For your convenience, we can arrange to drive you back to your home, office or wherever you need to go. Sell your car the no stress, hassle free way with friendly, safe and secure transactions from an established local used car dealer. Sell your car or truck to dennisbuyscars.com for cash now.